"Tens of millions of Social Security recipients and other retirees will get a 2.8 percent boost in benefits next year as inflation edges higher. It’s the biggest increase most retired baby boomers have gotten. Following a stretch of low inflation, the cost-of-living adjustment, or COLA, for 2019 is the highest in seven years. It amounts to $39 a month raise for the average retired worker, according to estimates released Thursday by the Social Security Administration. Unlike most private pensions, Social Security has featured inflation protection since 1975. Beneficiaries also gain from compounding since COLAs become part of their underlying benefit, the base for future cost-of-living increases." 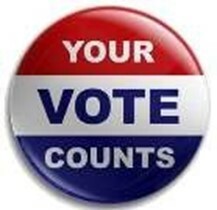 "The deadline for registering to vote in the Nov. 6 state election is 5 p.m. Wednesday, Oct. 17. Any citizen who will turn 18 by election day is eligible. City and town clerks will stay open until 8 p.m. on Oct. 17. Voters can also register online, in person at Registry of Motor Vehicles offices or by mail by downloading a form available on the secretary of state’s website and sending it to or dropping it off at a local city or town hall. Absentee ballots are available for voters who will be out of town on election day or who have medical conditions or religious beliefs that will prevent them from going to the polls in person. Application are available on the secretary of state’s website and at city and town halls. The deadline to apply is noon Nov. 5, and the ballot must be postmarked by 8 p.m. on election day."